These prayers for good times and bad help you to express the sorrows and joys of life in an honest and personal way. Looking for the right words to pray? Good times. Bad times. In-between times. When your daily ordeals threaten to overwhelm you, the simple prayer "Jesus, I need You"offers peace and rest. 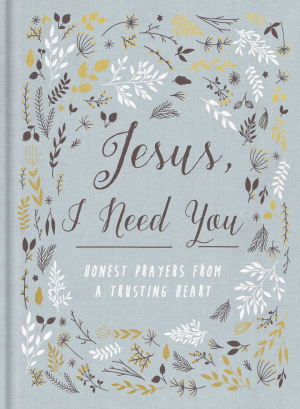 Jesus, I Need You by Zondervan was published by Zondervan in August 2017 and is our 890th best seller. The ISBN for Jesus, I Need You is 9780310088295. Be the first to review Jesus, I Need You! Got a question? No problem! Just click here to ask us about Jesus, I Need You.